Sick and Tired of Feeling Sick and Tired This Winter? Do you dread the winter months when you and your family easily succumb to coughs and colds, sneezing and sniffly noses, headaches, sore throats, or muscular aches and fevers from the flu? These symptoms, whilst normally mild, are the leading causes of days off work and school, and can leave many people feeling sick and tired. A strong, healthy immune system is able to keep us well, even when those around us are coughing, sneezing and getting sick. There are many factors that may contribute to the weakening of your immune system including stress, poor sleep, a lack of regular exercise, not enough rest and relaxation and making poor food choices. What to Do For a Cold or Flu? 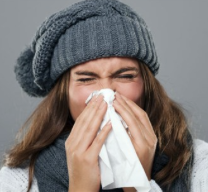 Both the common cold and flu are caused by viruses, with the most common virus being rhinovirus. What many people may not realise, is that antibiotics target only bacteria and are not able to kill the viruses responsible for colds and flu. 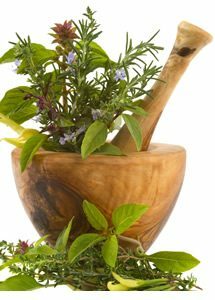 Fortunately there are herbs and nutrients that can help manage these viral infections and keep your immune defences strong. Zinc is crucial for immune function as a zinc deficiency may cause a weakened immune response, predisposing you to a longer or more severe cold. Zinc and Vitamin C are nutrients essential to good health and have a growing body of scientific evidence to support their benefits in boosting immunity and strengthening the healing process. Zinc & Vitamin C powders provide a great tasting drink to help maintain optimal immune function during the winter months. If taken in the early stages of a cold or flu, Zinc and Vitamin C can also shorten the length and severity of it. Andrographis: Andrographis is an Ayurvedic herb with a long history of use for viral and bacterial infections. Clinical studies have shown that andrographis can reduce the severity and duration of cold and flu symptoms. mune system, and has been shown to exert anti- inflammatory and immune-stimulating actions. Elderberry: Elderberry has traditionally been used for its anti-catarrhal and fever-reducing actions to help relieve the symptoms of colds, and recurrent or acute coughs. Bioceuticals ArmaForce is a perennial favourite in the immunity first aid kit, and deservedly so. With ArmaForce’s unbeatable combination of immune boosting herbs and supportive nutrients, those winter bugs don’t stand a chance. Andrographis, Echinacea, Olive leaf, Vitamin C and Zinc all work together to support immunity. Coughs Keeping You Awake at Night? Baical Skullcap: This traditional Chinese herbal medicine has been used to reduce coughing, as an expectorant to clear lung congestion and for its anti-inflammatory effects. Marshmallow Root: Marshmallow helps to soothe the mucous membranes in the mouth and throat, as well as decreasing any irritations in the lungs and respiratory tract. Liquorice Root: Liquorice is recognised in Western herbal medicine for its soothing, anti-inflammatory and expectorant properties. Liquorice may reduce irritation of the respiratory mucous membranes and aid in the treatment of coughs and bronchitis. Magnolia: This herb is particularly beneficial in treating moist coughs. It has been traditionally used for reducing phlegm and for calming the coughing and wheezing associated with lung congestion. Adhatoda: Adhatoda is another herb traditionally used in Ayurvedic medicine for respiratory congestion and wheezing. It is a powerful bronchodilator with expectorant properties that assists in clearing lung congestion and phlegm. Herbal Relief for a Productive Cough contains herbs that are traditionally used for clearing mucous and reducing coughing. Do you need relief for your stuffy nose? Mucous congestion and phlegm are signs that your immune system is hard at work, and can result in blocked sinuses and breathing difficulty. The decongesting, anti-inflammatory and antimicrobial essential oils of eucalyptus, thyme, lavender and peppermint may help to reduce the nasal and sinus congestion that accompanies upper respiratory tract infections. Reduce your intake of mucous-forming foods such as dairy and refined foods. Avoid foods low in nutrients such as sugar, white flour products and alcohol. Drink at least 2L of filtered water every day. Get a good night’s sleep and take time to rest and relax. Give your body a fighting chance against the common cold or flu this winter. Prevention is always better than cure, so follow the simple dietary and lifestyle tips for building healthy immunity. If you do find yourself sniffling, coughing and sneezing, talk to us today about specific natural supplements to help reduce your symptoms and get you back on your feet sooner.